Switch is an electrical component which can make or break electrical circuit automatically or manually. Switch is mainly works with ON (open) and OFF (closed) mechanism. 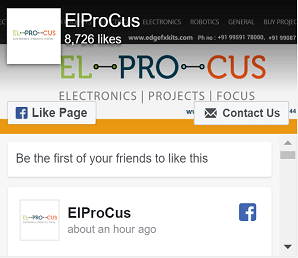 Numerous circuits hold switches that control how the circuit works or actuate different characteristics of the circuit. 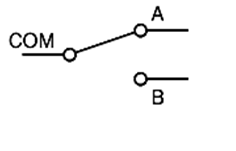 The classification of switches depends on the connection they make. Two vital components that confirm what sorts of connections a switch makes are pole and throw. These are classified on based the connections they make. If you were under the impression that switches simply turn circuits on and off, guess again. The terms pole and throw are also used to describe switch contact variations. The number of “poles” is the number of separate circuits which are controlled by a switch. The number of “throws” is the number of separate positions that the switch can adopt. A single-throw switch has one pair of contacts that can either be closed or open. 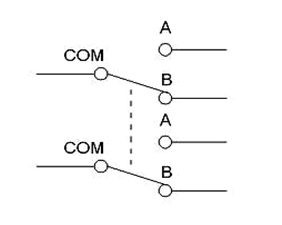 A double-throw switch has a contact that can be connected to either of two other contacts; a triple-throw has a contact which can be connected to one of three other contacts, etc. Pole: The amount of circuits controlled by the switch is indicated by poles. Single pole (SP) switch controls only one electrical circuit. Double pole (DP) switch controls two independent circuits. Throw: The number of throws indicates how many different output connections every switch pole can connect its input. A single throw (ST) switch is a simple on/off switch. When the switch is ON, the two terminals of switch are connected and current flows between them. When the switch is OFF the terminals are not connected, so current does not flow. Basic types of switches are SPST, SPDT, DPST and DPDT. These are briefly discussed below. The Single Pole Single through (SPST) is a basic on/off switch that just connects or breaks the connection between two terminals. 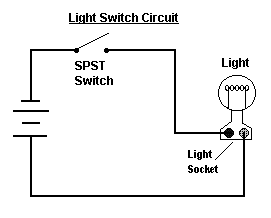 The power supply to a circuit is switched by the SPST switch. 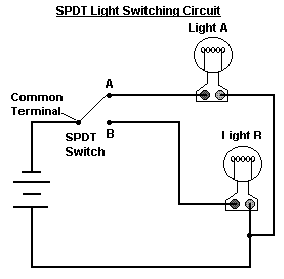 A simple SPST switch is shown in figure below. These types of switches are also called toggle switches. This switch has two contacts one is input and other output. From the typical light switch diagram, it controls one wire (pole) and it makes one connection (throw). This is an on/off switch, when the switch is closed or on then current flows through the terminals and the bulb in circuit will glow. When the switch is open or off then there is no current flow in the circuit. The single pole double throw (SPDT) switch is a three terminal switch, one for input and other two for the outputs. It connects a common terminal to one or the other of two terminals. For using the SPDT as SPST switch then just use the COM terminal instead of other terminals. For instance we can use COM and A or COM and B. From the circuit, it clearly demonstrates what happens when the SPDT switch is moved back and forth. These switches are used in a three-way circuit to turn a light ON/OFF from two locations, such as from the top and bottom of a stairway. When the switch A is closed then current flows through the terminal and only light A will ON, and light B will OFF. When the switch B is closed then current flows through the terminal and only light B will ON and light A will OFF. Here we are controlling the two circuits or paths via one way or source. DPST is abbreviation for double pole, single throw. Double pole means that the unit contains two identical switches, side by side, and operated by one single toggle or lever. This means that two separate circuits are at a time controlled through one push. A DPST switch turns two circuits on or off. A DPST switch has four terminals: two inputs and two outputs. The most common use for a DPST switch is to control a 240-volt appliance, where both supply lines must be switched, while the neutral wire may be permanently connected. Here when this switch is toggled current starts flowing through two circuits and interrupted when it is turned OFF. 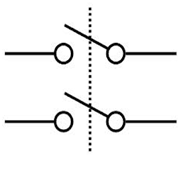 DPDT is a double pole double throw switch; this is equivalent to two SPDT switches. It routes two separate circuits, connecting each of two inputs to one of two outputs. The position of the switch determines the number of ways in which each of the two contacts can be routed. Whether it is in ON-ON or ON-OFF-ON mode they functions like two separate SPDT switches operated by the same actuator. Only two loads can be ON at a time. A DPDT can be used on any application that requires an open and closed wiring system, an example of which is railroad modeling, which makes use of small scaled trains and railways, bridges and cars. The closed allows for the system to be ON at all times while open allows for another piece to be turned ON or activated through the relay. From the circuit below, connections A, B and C form one pole of the switch and connections D, E and F form the other. Connections B and E are common in each of the poles. If the positive power supply (Vs) enters at connection B and the switch is set to the top most position, connection A becomes positive and the motor will rotate in one direction. 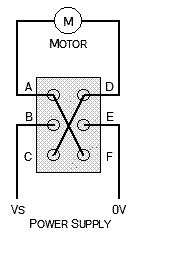 If the switch is set to the lower most position, the power supply is reversed and connection D becomes positive then the motor will rotate in the opposite direction. In the centre position, the power supply is not connected to the motor and it does not rotate. This type of switches are mainly used in various motor controllers where speed of that motor is to be reversed. A reed switch gets its name from the utilization of two or three meager metal pieces called reeds, with plated contacts at their tips and dispersed a little separation apart. 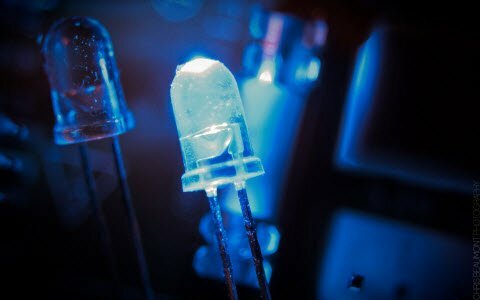 The reed switches are commonly represented in a fixed glass tube loaded with inert gas. A field from a magnet or an electromagnet avoids the reeds, doing or breaking switch contact. 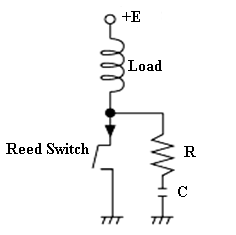 The contacts of a reed switch are shut by carrying a small magnet close to the switch. Two reed devices have normally open contacts which close when activated. Three reed versions have a couple of open and closed contacts. Operation of the switch makes these parts to change to the opposite state. Typical commercial grade reed switches handle currents in the milliamp range on up to about 1amp of either dc or ac current. However, special designs can get to around 10amp or more. 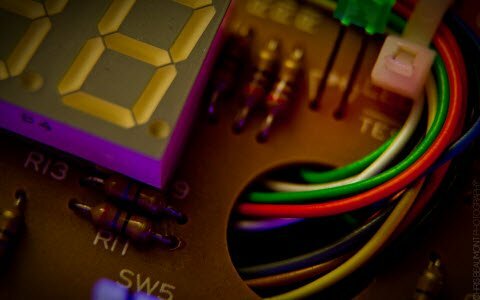 Reed switches frequently get incorporated into sensors and into relays. 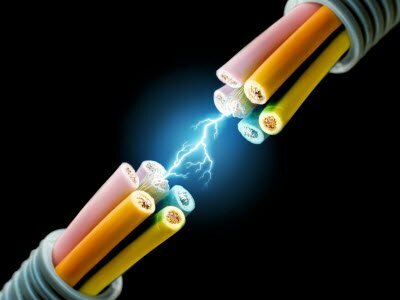 One important quality of the switch is its sensitivity, the amount of magnetic energy necessary to actuate it. The reed switches are used within the security systems for instance to check that the doors are closed or not. 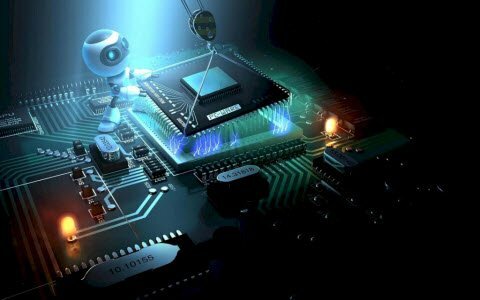 And also it has many applications; they are consumer electronic equipment, automatic measuring instruments, key switch and reed relays. Standard reed switches are SPST (simple ON-OFF) however SPDT (changeover) versions are also available. Reed switches economically and easily become proximity switches. The point when a reed switch is to be connected with the inductive load or the load where forward current or high current flows (for example capacitance load, lamp, long cable and so on). In case an electromagnetic relay which has inductance is provided as a load in a circuit, the energy stored in the inductance will cause an inverse voltage when the reed contacts break. 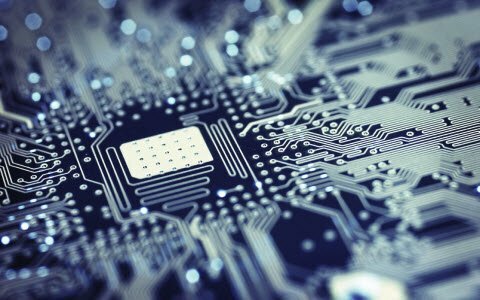 The voltage, although dependent on the inductance value, sometimes reaches as high as several hundred volts and becomes a major factor in deteriorating the contacts.